Hello to all you photography fanatics out there! Today we are going to be learning how to make an old photo from a modern day photo by using Pixelmator 2.1 Cherry without breaking a sweat if you follow the simple rules ahead. Step 1– Firstly upload the photo that you want to turn into a vintage to a blank Pixelmator document. The size of the area you’re going to be working in depends on what kind of photo you want to modify. I did a size of 500 x 850. Step 2– Make the photo black and white by selecting the Desaturate effect in the Effects Browser. Step 3– To defocus the image just a bit and make it seem older, select the Gaussian effect from Effects Browser and set the Radius set to around 2.5 pixels. Step 5– Vintage pictures aren’t very smooth, so adding a bit of grain might help. Click the Noise thumbnail and set the Radius to 3-4%. 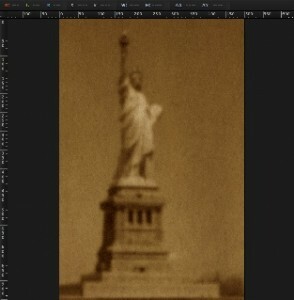 Step 6– Choose the Sepia Tone effect in the Effects Browser and set the intensity to about 90%.